2016 wasn't the best year for my career. A diagnosis of prostate cancer in March put much of my work on hold whilst I attended hospital for tests and treatment. Fortunately treatment has gone well, but for the second half of the year I was unable to do as much varied work as in previous years. Another busy year at Elstree shooting EastEnders. 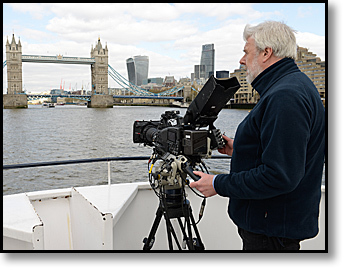 One particular early highlight was a day spent on a Thames river cruiser shooting one of Barbara Windsor's last episodes. The weather was a joy, bight, clear and sunny, quite unlike some of our dismal winter days. Another interesting project was working as camera supervisor on a new directors training course. It's fascinating helping new talent make the most of EastEnders fast paced working system. After my operation EastEnders were very to book me back as soon as I was capable of light work again. 2016 proved a momentous year politically with the referendum vote to leave the European Union. 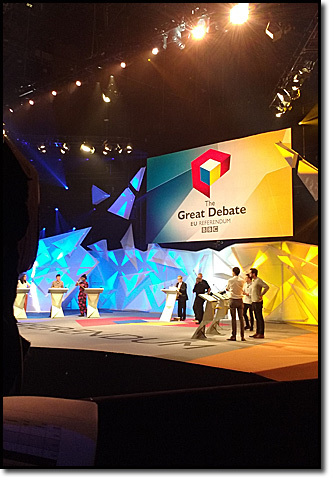 One of the final key televised debates was held at Wembley Arena in London. It was broadcast live in front of an audience of four thousand people. A challenging debate to cover not only because it was live to air, but also needing to be covered with long lenses as it was impossible to get cameras close to the participants in the vast arena. June saw me back at Garsington Opera for a third year, this wonderful job is starting to become an annual highlight of my summer. This year we were recording Tchaikovsky's Eugene Onegin. 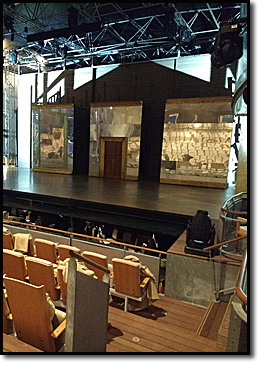 The imaginative set made fantastic use of the stage at Wormsley. The final act's wall of mirrors initially looked to be a nightmare for television, but actually were absolutely inspired. You see the final result on You Tube if you click here. We're all looking forward to a return to Garsington again in 2017.